The heart-pendant has the words, "Best Friends" on the front, and can be broken apart to be worn by you and your best friend. Great to wear with your best friend or with anyone who holds that position in your heart. The pendant measures 29mm x 22mm (1 1/4" tall x 0.86" wide). You can also add a matching 14k solid gold box chain necklace (optional). 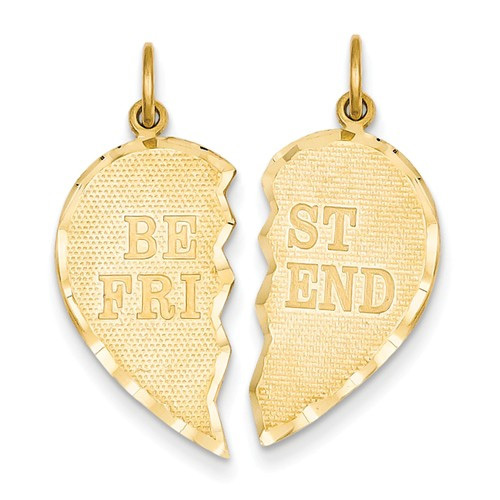 We guarantee our Best Friends Break-Apart Friendship Heart Pendant, 14K Gold to be high quality, authentic jewelry, as described above.